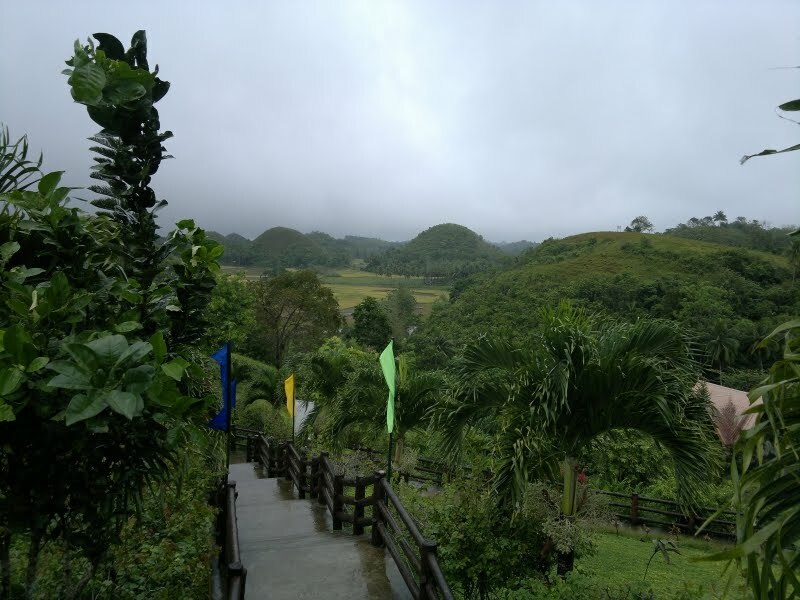 There are two viewing decks in Bohol to behold the natural beauty of the world famous chocolate hills. 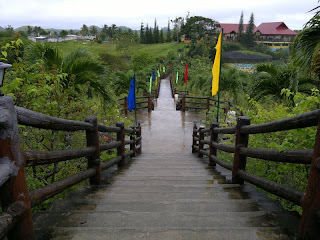 One of which is the Sagbayan Peak, located in the municipality of Sagbayan. Entrance fee to the complex is Php30.00. Viewing decks are connected by concrete footpaths and stairways, offering tourists with various viewing angles and countless photo opportunities. The highest viewing deck offers the best view of the area where one can see the chocolate hills in every direction. In between hills are rice-fields, trees and houses. 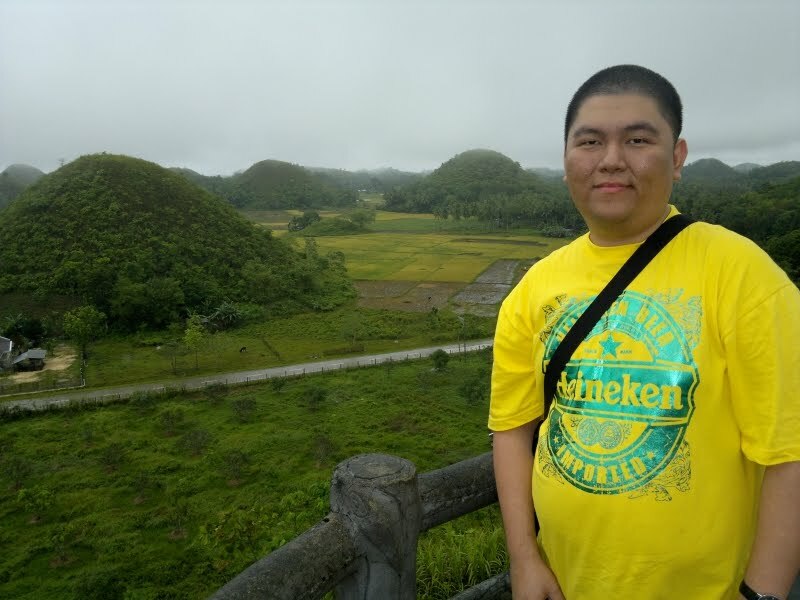 It is said that on a clear sunny day, the Cebu Strait and the island of Cebu are visible at the background of the hills. Unfortunately, it was cloudy when we visited Sagbayan Peak. On the other hand, should the sun be shining and not concealed by rainclouds, this visit would have been an exhausting one. Thanks to the cool breeze that refreshed our tired, sleepy and aching bodies, we had more energy to walk around and enjoy the scenery. 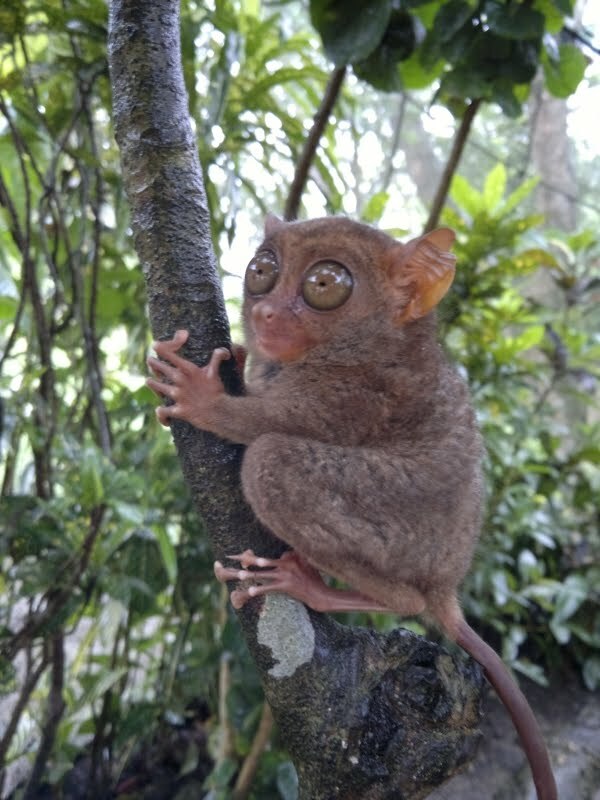 A trip to Sagbayan Peak is not complete without passing by its own tarsier sanctuary. We were lucky to have a chance to see these cute little primates while awake. The tarsiers are nocturnal creatures and are usually hiding behind the foliage during daytime. 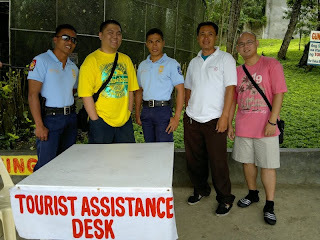 Sagbayan Peak is easily accessible from Tagbilaran City, the capital of Bohol, through rented vans. 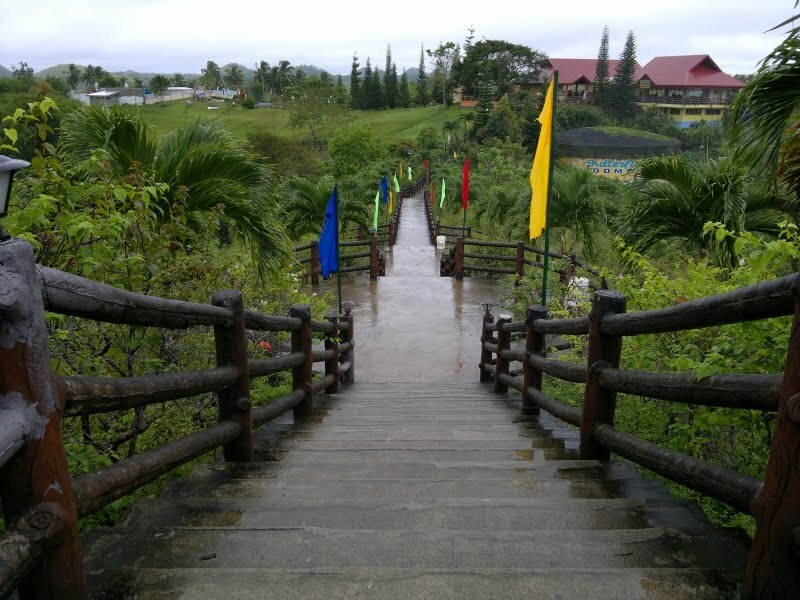 Coming from Tubigon, Sagbayan Peak is just a 25-minute drive away. At present, it is nearly impossible to travel around through public transportation. A small group can hire a car with driver. For bigger groups, there are also vans available for rent. Rate varies depending on the number of destinations or duration of the trip.